Things in the pen world are finally starting to kick off for 2019. Last week we had the Philadelphia Pen Show, which saw the launch of the Newton Pens/Vanness Pinnacle, as well as a new color Estie from Esterbrook! I’ve also managed to unearth some links to a few limited edition Sailor Pro Gears (including one exclusive from Japan), and will issue my weekly reminder to get your M400 Brown Tortoise before they’re gone! Esterbrook Estie in Evergreen (via Pen Chalet). 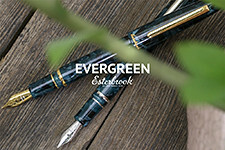 Esterbrook has released a fourth color, Evergreen, which is available in either chrome or gold trim. So far, Esterbrook is batting 1.000 with the colors in the Estie lineup, as far as I’m concerned. 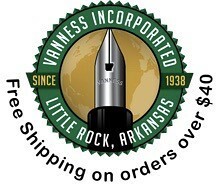 Vanness Pinnacle by Newton Pens (via Vanness Pens). 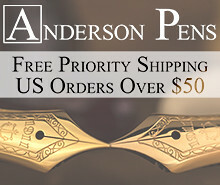 It looks like a very limited number of these pens made it back from the Philadelphia Pen Show. For those of you who haven’t heard, Shawn Newton is making a “production line” of non-custom pens, and the Pinnacle is the first! Keep an eye on the Vanness site for more as they’re released. Pilot Vanishing Point Stripes Edition (via Anderson Pens). It’s a bit surprising that Pilot didn’t release this metal striped Vanishing Point last year for their 100th Anniversary (or maybe they intended to, and things happened, who knows?). It’s out now, and it definitely manages to channel the vibe of the vintage Myu and Murex. Stipula Etruria Rainbow Magma Fountain Pen (via Pen Chalet). After what seems like a bit of a hiatus from regular production, Stipula has released a new Etruria model. Stipula Etruria Tortoise and Etruria Gorilla (via Pen Chalet). Although the Stipula Etruria model used to be reserved for pens made from Italian celluloid and came equipped with gold or titanium nibs, Stipula introduced a steel nib version that still looks nice. They’re also currently on sale. The Etruria is a very comfortable shape for those who enjoy a larger pen. Sailor Professional Gear Nagasawa Kounan Maroon Limited Edition (via eBay). Seller CoolJapan typically will have a limited stock of Kobe Nagasawa Limited Edition Pro Gears, like this Kounan Maroon. These don’t last long. Pelikan M400 Brown Tortoise (via Amazon). The Brown Tortoise M400 will be leaving Pelikan’s lineup, following the M800 Brown Tortoise into the aftermarket. Get yours now, as I suspect these will command a pretty price going forward (at least until Pelikan re-releases them again). Aurora 88 Minerali (via Vanness Pens). Vanness has a limited number of Aurora 88 Minerali Demonstrators in Blue (Azurite) and Green (Diopside). Check these out along with many other deals on Aurora in the Grandpa’s Basement clearance section. Sailor Professional Gear Sky Pro Gear Slim Limited Edition (via eBay). I’ve made more of an effort to locate eBay sellers who stock back editions of Sailor Pro Gears. I don’t see Pro Gear Skies come up much, in either standard or slim versions. Montblanc Starwalker Rollerball (via Appelboom). I love Montblanc Rollerball refills, as well as the rollerball pens in the Classique size. I stayed away from the Starwalker until now, but picked one up and ended up loving it. Review soon! Uni Jetstream Prime Twist Pen (via Amazon). Uni has released an upscale body for the Jetstream, which comes with two of the SXR-600 Parker-style Jetstream refills (also available separately). Uni Jetstream 4-in-1 Multi Pen Set (via Amazon). An excellent, and often overlooked, multi pen that I personally need to revisit. 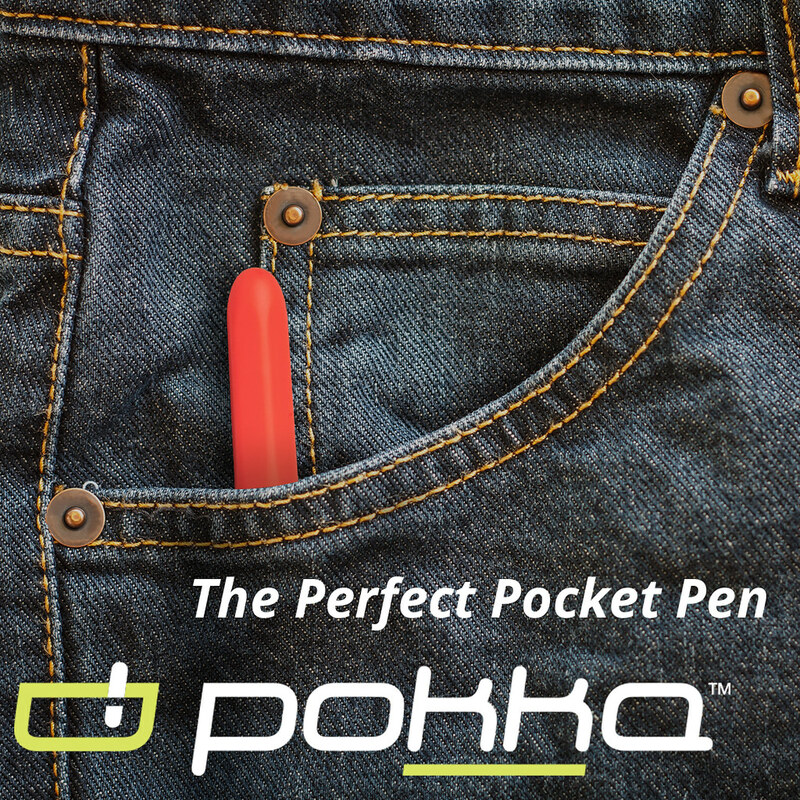 Available here as part of a set that includes a Kuru Toga mechanical pencil. 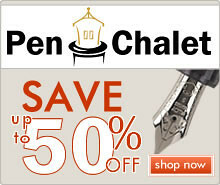 Clearance on Pilot Vanishing Point and Pilot Stargazer (via Goldspot). 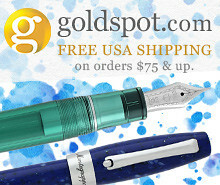 Check out Goldspot’s “Weekly Dip” for clearance pricing on two great models of Pilot fountain pens. 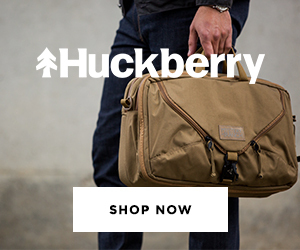 I believe both are being discontinued, so act quickly. Duncan Shotton Stationery (via Etsy). Duncan Shotton has reloaded his Etsy store with all of his quirky stationery products, including cool push pins, page markers, and the rainbow pencils. 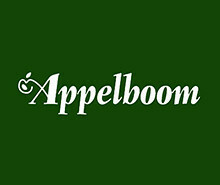 One of my favorite places to browse, and you can check out my review here. Silver Stripes and a Silver Snake (via 18111com/Etsy). Every time I visit this store I get closer to ordering a pen from Yoshi, but I’ll probably wait until a pen show to pick it out in person because I can’t make up my mind.